There’s no excuse to miss your suhoor meal now. We all promised ourselves a healthy Ramadan — no fried pakoras, no fizzy drinks and no skipping suhoor meals. But let’s face it, so far all we’ve done is eat fried items, drink sodas and skip suhoor. While the first two are still (somewhat) achievable, waking up for suhoor meals requires a lot more than self-restraint. Lack of sleep combined with post-iftar bloating makes it impossible to wake up in the in the middle of the night. What most of us conveniently forget is that eating suhoor meal is not only a blessed deed but it also nourishes, hydrates and strengthens the body to cope with the fast; it also reduces the dreaded hunger pangs. If you’re one of those who wakes up 15 minutes before the final call — worry not, we’ve got you covered with some quick and easy breakfast toast recipes. Scroll down and start prepping, there’s no excuse to miss your suhoor meal now. 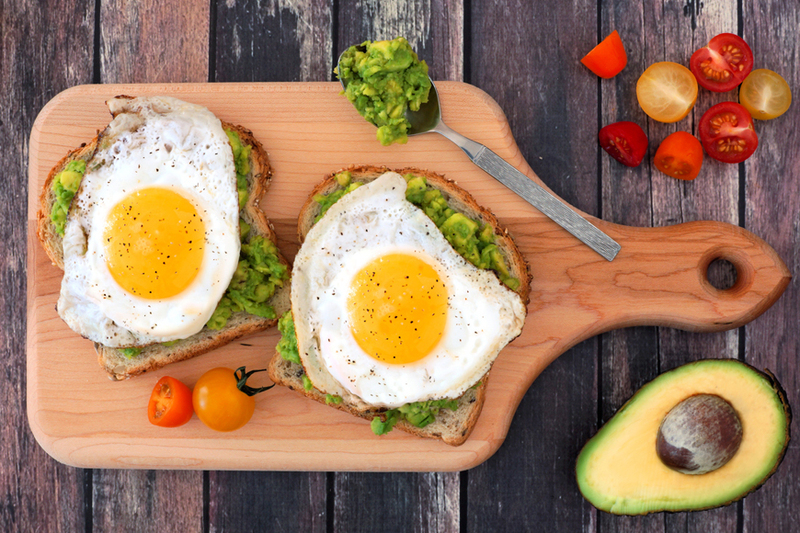 This ultimate breakfast toast is piled with lots of smashed avocado, fresh veggies and a beautiful fried egg on top. Whole grain bread topped with creamy almond butter, juicy pear slices, honey and crunchy granola — we're good for the day. Nothing and absolutely nothing will put you down if you start your fast with a good dose of strawberries and cheese. It's refried beans topped with salsa, cilantro and fried eggs — won't you wake up for that? Toasted sourdough is topped with garlic oregano shiitake mushrooms and finished with a fried egg and freshly grated Parmesan cheese.